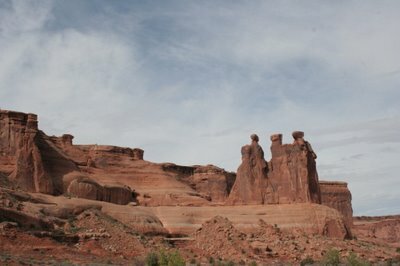 Yesterday we explored The Arches National Park in Moab. It was filled with beautiful, fascinating, nature-created structures and we didn't know what we would find at each lookout or waypoint. We stopped at one lookout and from there we could see this structure, "The Three Gossips".